...a riveting tale of science cut loose from ethics. 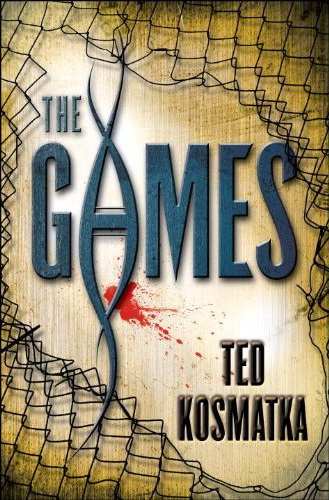 Set in an amoral future where genetically engineered monstrosities fight each other to the death in an Olympic event, The Games envisions a harrowing world that may arrive sooner than you think. Now Silas races to understand what the computer has wrought, aided by a beautiful xenobiologist, Vidonia Joao. Yet as the fast-growing gladiator demonstrates preternatural strength, speed, and—most disquietingly—intelligence, Silas and Vidonia find their scientific curiosity giving way to a most unexpected emotion: sheer terror. The Games will be released March 13 from Del Rey. For those unfamiliar with Ted Kosmatka check out "Diving Light" for free here, "Deadnauts" here, or "The Ascendant" here. Also, I've got to give it up for a man who wears a swank hat like this..
Nice Find. I agree that it's not the most appealing cover. It's not bad but it doesn't really do anything for me. I like the original title better.